I tell you are pretty. But sometimes they come with no strings attached. Obligation to be kind than to be right. Obligation to know the reason behind the lie. Obligation to be courageous despite the fear. 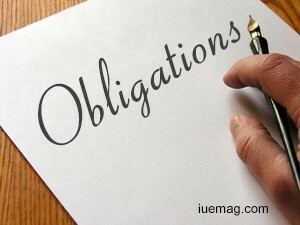 Obligation that don't let you sleep without talking to your loved ones. Yes, possessiveness also brings obligations. to be you despite whatsoever comes around.